I always know where I was headed once I get there. Get fit or die trying. Your core muscles, or trunk as we used to call it, are made up everything holding your pelvis, ribs and spine together. Many of us have faced pain and challenges in our lives that have rocked us to our very core. According to the American Chiropractic Assoc. back pain is one of the leading causes of days off work and experts estimate approximately 80% of the world will experience back pain. Considering most of us sit for long periods of time and the rest of us are doing repetitive manual labour it's no wonder our backs suffer. If every action has an equal and opposite reaction then it makes sense to strengthen the front core muscles when your back is sore. This is where the abdominal and lower pelvic muscles come into action. We now know that movement will help heal a sore back faster than being idle and resting. The irony is that when your back is in pain last thing you want to do is move. Especially when it appears that every other health professional or exercise adviser wants you to get on the floor to strengthen your abs. When your back is sore getting down to the floor is hard enough (especially if you are overweight) getting back up again is worse and often requires help. The best part of the fitness industry is that despite all the innovative machines, trends and research, the amount of ways a muscle can move correctly is finite. Your core muscles can move your trunk forward and backwards, side to side and twist. You don't need to lie down to work any of those muscles. Even consistent focus on sucking your belly button in closer to your spine will help strengthen the muscles involved. Who needs sit-ups? Below is a video from fitness blender - there are thousands of different example online. When I try and put together a workout for myself I watch many, several, dozens and choose the exercises I know I can manage without hurting myself. If any of the movements in the below video are too hard just march slowly and controlled with high knees while you wait for the next one. Progression is only natural if you keep it up. A drunken sailor once told me that it was better to have a weak mind than a weak back. Have you had a back injury before, do you agree with him? 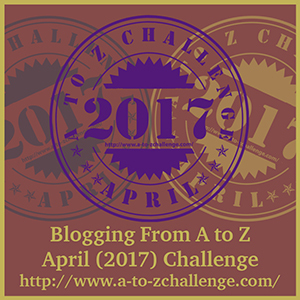 I use #atozchallenge when sharing my favourite posts. Amongst other things, this is a love story.... the theme changes occasionally... this year it is fitness and learning to love yourself. I love pilates, I've yet to find a convenient class where I live now as they all seem to be during the day whilst I work, or clash with the one night a week where I'm busy! 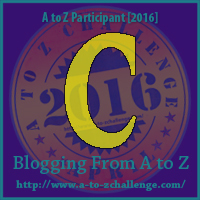 Feedback and your own stories are welcome.